Indelible Ink Tattoo Studio provides one of the most experienced tattoo removal services in the area. is designed to leave the skin as undamaged as possible. Laser is a highly powered form of light that can be set in different colour spectrums. When the laser is set in the dark ink spectrum it will only affect colours (and shades) within that spectrum and will ignore colours not within the spectrum. Your dark ink tattoo is within this spectrum whilst your skin is not, meaning that the laser will pass harmlessly through your skin to locate your ink. 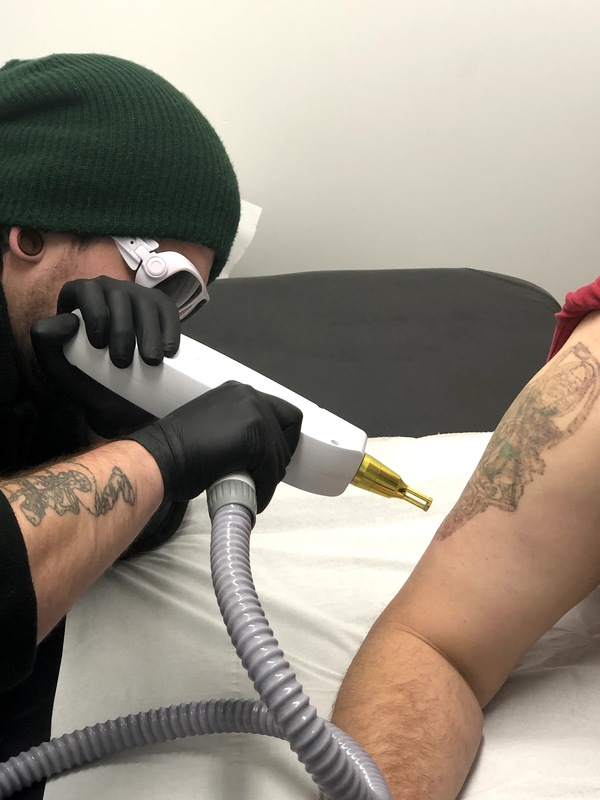 When the beam of the laser strikes the ink in a tattoo it shatters the ink into very fine particles that are no longer visible to the eye and are small enough to be absorbed and removed by the bodies own cell cleaning (lymphatic) system. During your initial consultation you will have the whole process explained to you in detail, any quotes or estimates you require will be supplied and any questions you may have will be answered. Consultations can include a first treatment if that is what you decide after the process has been explained however you are under no obligation to have a treatment. 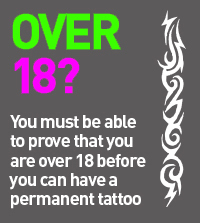 Consultations can also include a test patch which is treatment of a small area of the tattoo in order to allow you to assess the treatment you will be receiving. Both consultation and test patches are free of charge. For further information about our Laser Tattoo Removal Services, please contact us via the Contact Form or by telephone on 07714 432070.